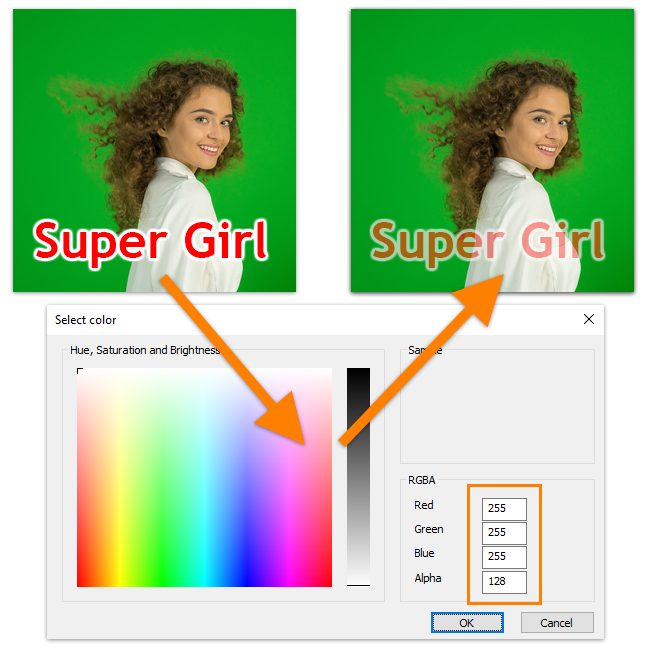 Using dashboard you can easily switch standard overlay properties. The first standard property is an overlay update rate. It defines how often PlayClaw will redraw the overlay itself. High update rate is useful for dynamic overlays like Webcam or Web Browser. But we do not recommend to set high rate without necessity - this will take more resources from your PC. For example, for it is enough 1 fps for Text overlay, 30 or 60 fps for Webcam. You may want to set 1-10 fps for Timer to see precise time values. 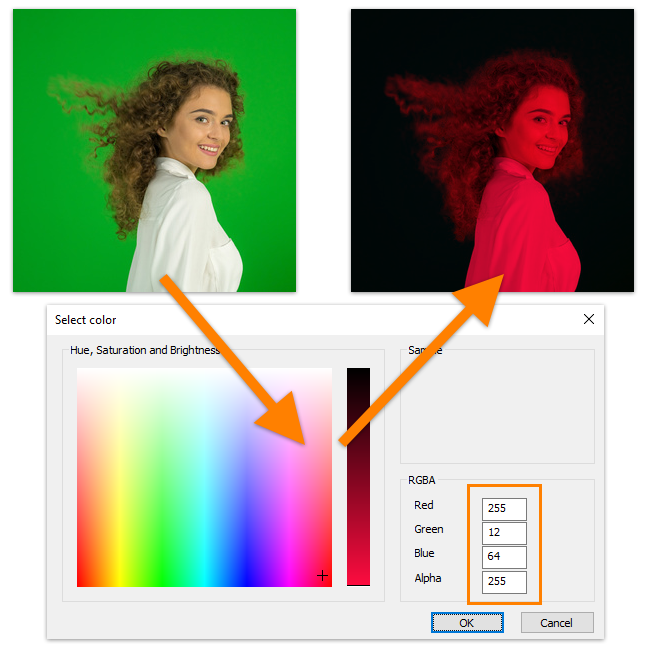 Using Color filter you can add a color mask to whole overlay or change its transparency. Below are two samples. First one - adding red color mask. Second sample shows changing transparency. Every overlay has two visibility options - in game and in output. For example, if you don't want to show you system performance to your viewers, then just uncheck in output option for System information overlay. And vice versa, you don't want to see a Webcam overlay during your game, but your viewers should see you! 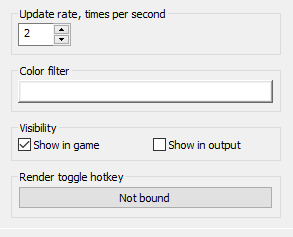 You can bind a hotkey for any overlay to be able to switch it off or on while playing game. Overlays can be renamed for your convenience. Just select it in overlays list, then click one more time on its name or press F2 button.